"From the councils in heaven, our Savior sought only to do His Father’s will. This pattern of Father and Son can help explain the paradox 'He that loseth his life for my sake shall find it' (Matthew 10:39). The world pursues enlightened self-interest. Yet the power is not in us to save ourselves. But it is in Him. Infinite and eternal (see Alma 34:14), only our Savior’s Atonement transcends time and space to swallow up death, anger, bitterness, unfairness, loneliness, and heartbreak. "Sometimes things go wrong even though we have done our very best. A Lamb innocent and pure, our Savior weeps with and for us. When we always remember Him (see D&C 20:77, 79), He can stand with us 'at all times and in all things, and in all places that [we] may be in' (Mosiah 18:9). 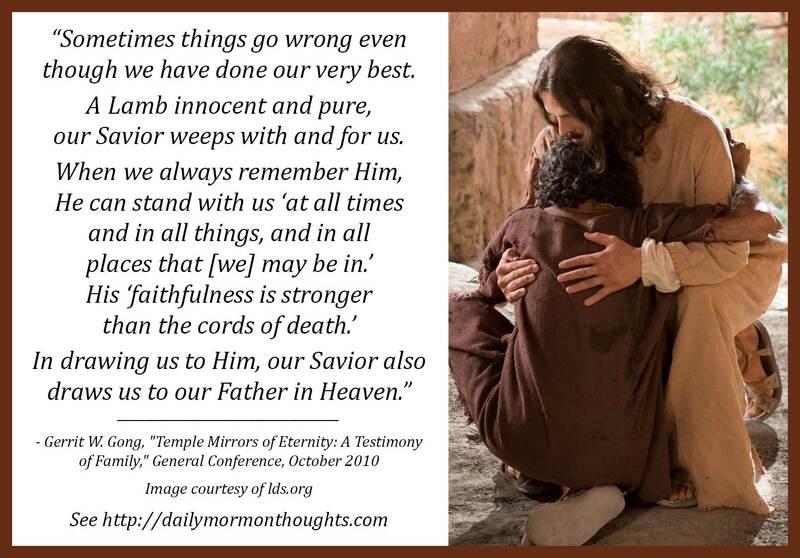 His 'faithfulness is stronger than the cords of death' (D&C 121:44). In drawing us to Him, our Savior also draws us to our Father in Heaven. While some things are imperfect on earth, we can trust our Heavenly Father to complete 'redemption’s grand design, where justice, love, and mercy meet in harmony divine!' ('How Great the Wisdom and the Love,' Hymns, no. 195.)" In this talk offered soon after he was sustained as a general authority, Elder Gong taught about the eternal vision of the gospel plan and how it impacts us—if we choose to participate. We can learn much from the pattern exhibited in the loving relationship between the Father and the Son that applies to our lives. 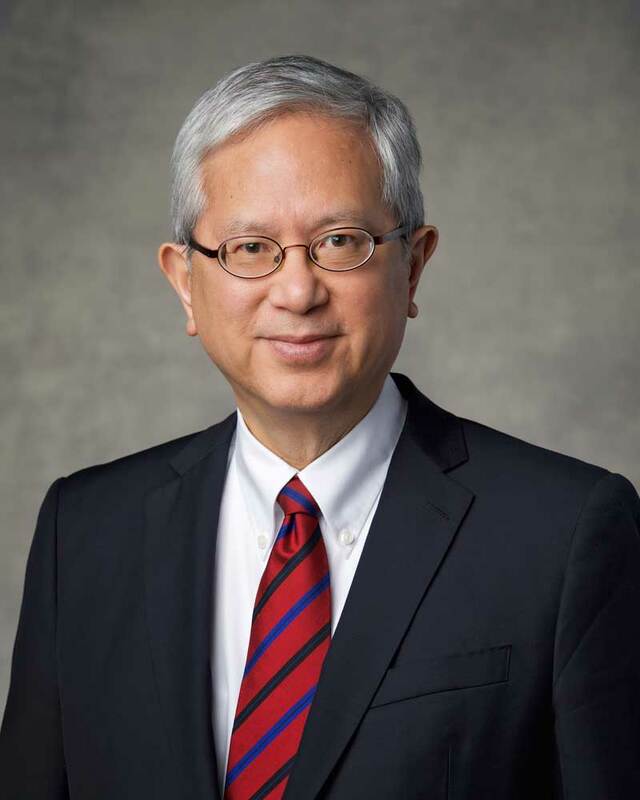 There is infinite power in Their love for us as expressed in the Savior's Atonement, which can "swallow up death, anger, bitterness, unfairness, loneliness, and heartbreak." The key lies in that request that we "always remember Him." That opens the door for Him to stand with us always, in our needs and in our times of learning. He is the "Lamb innocent and pure" who "weeps with us and for us." How blessed we are to know that we need never be alone!